(WBIR-Lenoir City) - Loudon County officials are discussing a project that could put county courts and the jail all under one roof. Leaders say it will ease transportation and safety problems. The original project had a price tag of $47-million. Upon further discussion, the range has dropped to about $10 million. The Tennessee Corrections Institute, or TCI, put the county under what it calls a "plan of action." This means it needs to make changes to the jail and court system. The county formed a committee called the County Correctional Partnership Committee. Officials aim to tackle the issues brought up by TCI. A big topic of discussion includes building a new facility. "There was a need assessment and feasibility study done last year and in it revealed that a certain amount more space is needed. Not so much jail space, but also judicial functions such as the courtrooms and the clerk's office," said Sheriff Tim Guider. Currently, the criminal courts are in a separate building from the sheriff's office and jail. This creates a concern when it comes to transporting the inmates to court and back. "Any time you have prisoner movement, you have that possibility for escape or assault, so therefore I think it is necessary for the courts and the jail to be together," said Guider. The new facility could house both the courts and the jail, leaving the current building to the sheriff's office. 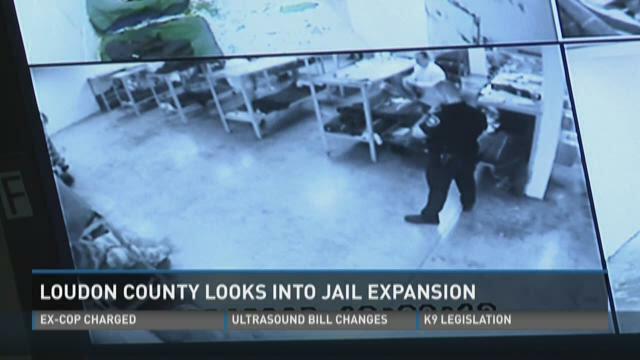 With a new facility, the jail would be up to date with its equipment. "Doors, gates, things that they don't make parts for anymore - so it's very difficult to get those parts when we have a gate that needs repair," said Guider. Loudon County Mayor Buddy Bradshaw said it's hoped money in the budget can cover costs without a tax increase. "That's how I deal and that's what we're shooting for," said Bradshaw. Officials plan to tour other facilities around the state. For example, McMinn County has a newer facility and may be a model of what Loudon County seeks.